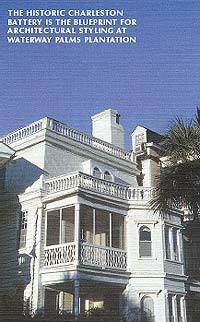 Incorporating the charm and sophistication of historic Charleston architecture and the energy and excitement of Myrtle Beach life, the marriage between the Waterway Palms Plantation and the Holy City is a union that will pass the test of time. Debuting on many “best of” lists, the new Myrtle Beach is a match made in heaven for many. 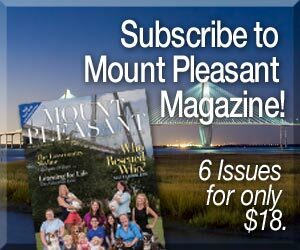 In particular, the Grand Strand – an area that spans 60 miles of coastline – is attracting a ton of attention. According to the Myrtle Beach Area Convention and Visitors Bureau, in 2003 the Travel Channel deemed the Grand Strand one of the top beaches in America, exclaiming, “Myrtle Beach is the East Coast’s ultimate vacation hub.” An online poll conducted by Yahoo! Travel and National Geographic Traveler magazine asked 2,200 people to rank the top 10 beaches, based on cleanliness, scenery, climate, water temperature and romance (in that order). When the votes where tallied, Myrtle Beach came in number two, beating out other hot spots such as St. Thomas. For residents of Waterway Palms Plantation, the numbers add up to the ideal location for owning a home. “The walks and porches here give a sense of being able to take a leisurely stroll and not just wave to your neighbors but get to talk to your neighbors and really get to know them on a personal basis,” Dennis Waynick of Integrity Custom Homes explained. 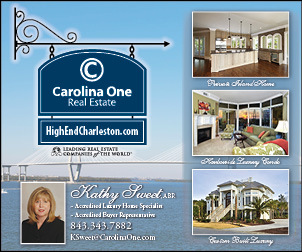 Homes begin at 2,000 square feet and include such Charlestonian features as wrought-iron fences, manicured courtyards, covered terraces and high-rise balconies. Priding itself as a custom builder, Integrity Custom Homes boasts that in 36 years of operation the company has never built the same home twice. Quality is, of course, paramount, ensuring that all homes feature Low-E argon-filled glass in all the windows, crown molding in all main living areas, drywall niches and custom built-ins. As for the exterior, the development offers a landscape package that includes irrigation, sod, plantings and trees. Waynick is quick to point out that Waterway Palms Plantation is just a short run from the airport, making it easy for friends and relatives to visit and see the sights – which, by the way, begin in your backyard. 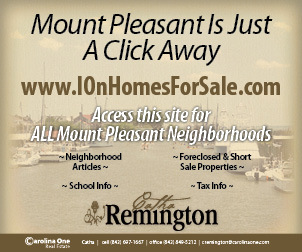 Inside the community, the neighborhood plan calls for a long list of amenities, including a swimming pool, tennis courts and a private community boat storage area and boat launch. Architecturally speaking, the clubhouse will be a replica of an old plantation house, with 14-foot columns around a covered Charleston-style porch and double-sided fireplaces. Along the gabled-roofed viewing gazebos, residents will be able to melt the day away in a soothing jacuzzi. They will be able to walk or ride bikes onto the amenities island, the centerpiece of the community. Outside the community, residents will find fun everywhere: swimming, walking, fishing, boating, surfing, windsurfing, scuba diving, kayaking and parasailing at the beach or visiting outlet shopping, movies, restaurants and theaters at Broadway on the Beach. With all this and more, residents of Waterway Palms Plantation can sit back and smile, knowing this honeymoon is never going to end.